Located in the heart of Bromley, this centre offers flexible designed workspace for different sized teams. Accessible 24-hours a day, there are great facilities including office cleaning, access to kitchen facilities and air conditioning. Travel to and from the centre is easy, with both Bromley North and Bromley South Railway Stations within walking distance, offering direct services to London Victoria. 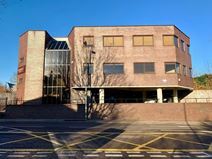 A selection of offices of various size is available to let in the immediate proximity of the shopping area of Bromley. Close to the motorway netwotk and to the station, these offices are easily accessible. Top quality recently refurbished offices to let in a nine storey building in the heart of Bromley. In close proximity to the Glades shopping centre and many other shops and restaurants. 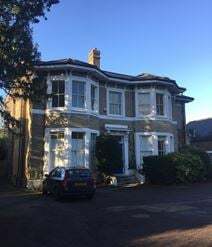 Located just off the A21 London Road, a couple of minutes’ walk from Bromley South Railway Station, with frequent fast services to London Victoria. 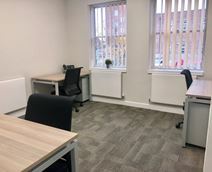 This comfortable and secure serviced office centre enjoys a convenient location just a short journey from Bromley station and high street. A good range of amenities is close-by, including a supermarket and eateries. Based in the London Borough of Bromley, this centre offers great transport links and fantastic on-site facilities. 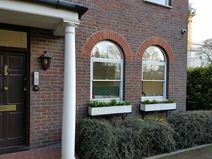 The property is accessible and secured 24-hours a day, located just moments away from Bromley North train station. The offices range in size from two desks up to thirty. There are professional meeting rooms, kitchen facilities, bike racks and breakout space on-site. Tenants can benefit from the WiFi and dedicated reception team. Being less than 200m from Bickley Train Station and its services to London Victoria and Blackfriars, this Victorian property is ideally positioned for quick and easy access to the capital. Two large serviced offices are available on an all inclusive rent basis and suitable for up to eight people. This buisness space has fantastic transport links, being within walking distance of Bromley North and Bromley South Railway Stations. There are local bus services running in the local area. Nearby, there are lots of bars, cafes and restaurants, as well as shops and supermarkets. On-site, there is WiFi, printing and copying facilities, and access to kitchen facilities where there are free refreshments.